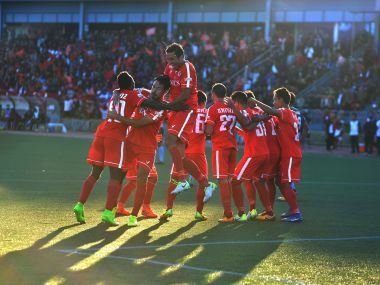 Aizawl: Reigning champions Aizawl FC ended table-toppers Minerva Punjab FC's five-match winning streak in the Hero I-League with a crucial 2-1 victory, in Aizawl on Wednesday. Kareem Omolaja (72nd) and Andrei Ionescu (85th) scored one goal apiece for Aizawl FC while Girik Khosla (90+5 minutes) pulled one back for the away side. 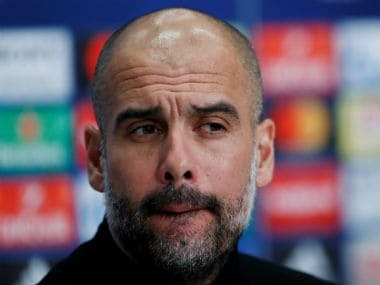 Meanwhile, it was the first defeat for the Punjab-based side following their five-match unbeaten run. The home side made four changes in the starting eleven as David Lalrinmuana, Andrei Ionescu, William Lalnunfela and newly recruited Laldinliana started the game in place of Lalrinzuala, K Lalthathanga, Yugo Kobayashi and Lalbiakthanga. David and Ionescu, alongside captain Alfred Jaryan, manned the midfield and William Lalnunfela played the lone striker upfront and Leonce Dodoz and Lalmuankima flanked from opposite sides of the pitch. League leaders Minerva made no changes from their last match. Paulo Menezes' boys started the game on a upbeat mode as they forced the away team in their own half. David, Ionescu and Alfred dominated the midfield but the Minerva defence was a hard nut to crack for the Highlanders. David's freekick from 35 yards was met by Afghan defender Saighani but caused no trouble for Minerva goalkeeper Dagar. Leonce Dodoz was lively on the right side but could not break down Minerva's defence as well. The home side dominated the ball possession but could not carve out a clear-cut goal scoring chance. William Opoku tried his best to break down Aizawl's defence but without the usual support from Chencho, his effort went into vain. Saighani tapped the first goal of the match in the 21st minute but it was ruled out by the official owing to a foul on a Minerva defender much to the dismay of the loud Aizawl supporters. Opoku's shot drifted away from goal and Aidara header form Chencho's freekick flew a few foot away form Aizawl's goalkeeper Avilash Pual's goal. Both the teams were scoreless in the first 45 minutes. Sukhdev Singh tried his best from his long throws but those were perfectly dealt by Aizawl defenders. Aizawl continued to dominate the game and scored the first goal of the game in the 72 minute. The ball from David's corner was guided to the far post of Minerva's goal by defender Kareem Omolaja to leave goalkeeper Dagar completely stranded. 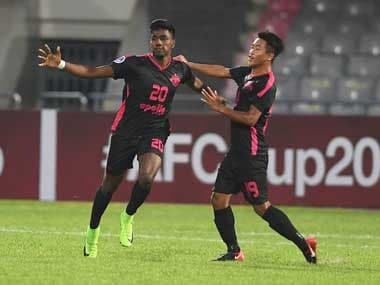 Minerva's coach Khogen Singh introduced Moinuddin, who scored the equaliser against Mohun Bagan, towards the end of the game but the home side struck again to dash the hopes of Minerva. Man-of-the-match Dodoz danced past Minerva's defender and slide the ball to Romanian midfielder Ionescu who made no mistake as he slotted home his first goal of the season. 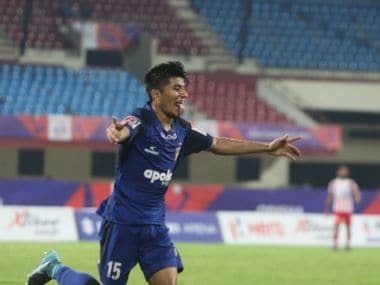 Minerva pulled one back in the added time as Girik Khosla made the best out of the defensive lapses but there was no time left for the away side to equalise as the referee blew the whistle seconds after Khosla's goal. Following the win, Aizawl FC jumped to the sixth spot with seven points from four matches whereas Minerva continue to enjoy the pole position with 13 points from six games. Aizawl FC will now travel to Kozhikode to lock their horns against Gokulam Kerala FC on Sunday while Minerva will play the Keralite outfit on 6 January.